We'll be celebrating our love for the USA all weekend long and we're kicking things off with a modern and sophisticated take on an Americana inspired dining room. 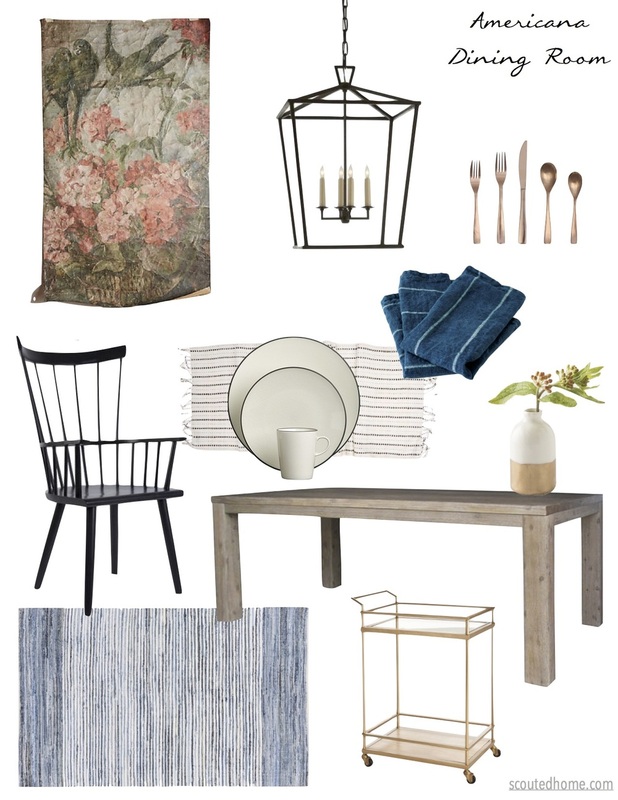 For this "farmhouse chic" look we blended traditional elements with modern accessories. Rose gold accents are a soft alternative to the typical red hue, while sticking with classic white place settings and denim blues gives that nostalgic All-American feel.